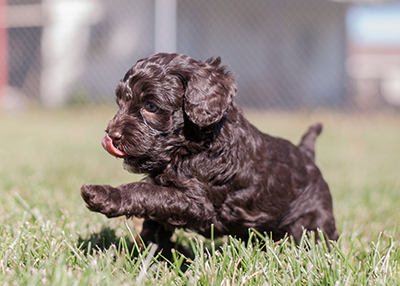 Rolling Meadows Australian Labradoodles LLC is located in farm country of the fertile fields of Lake County, Florida. 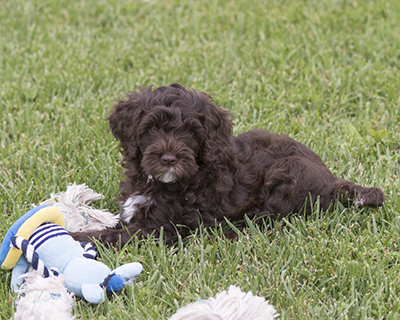 Owner/Breeder, Teresa Perry along with family members has started a second family – Australian Labradoodles. We missed our poodle of 17 years. 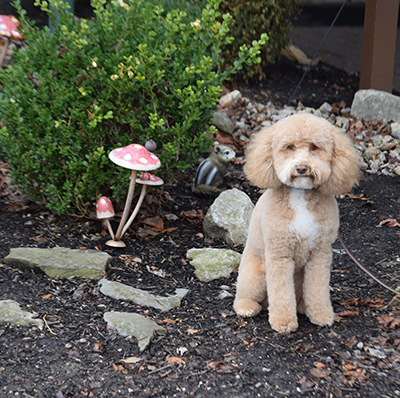 Our search for a puppy that was allergy/asthma friendly and low shedding led us to the breed of Labradoodles; in researching further we found that the breed of Australian Labradoodles would be an even better fit for our family. A trip to the state of Washington to adopt from Whispering Winds Australian Labradoodles brought home our Matriarch—Lady Isabelle. She has proven true to the attributes of her breed—intelligent, mild temperament, body structure and socialization skills. She is considered chocolate with a tuxedo white marking on her chest. The chocolate has highlights of caramel. The hair texture feels like human hair. It’s just my husband—Jim and I who live at Rolling Meadows. Isabelle loves our extended family. She enjoys playing with our granddaughter. Their favorite game is chasing bubbles in the back yard. What has amazed me as we watched Isabelle grow was her ability to learn our personalities and interact with each of us differently. I have to admit that I have underestimated her intelligence and how well she remembers. 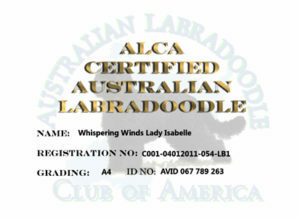 We have made a commitment to raise the authentic breed of Australian Labradoodles. 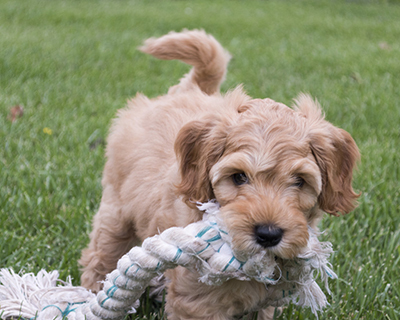 We truly believe that the Australian Labradoodles are the best choice for companionship that will bring joy to other families. Our future goals include training selected puppies for Autistic children. To make your family complete! Our plans for the future are to remain a smaller breeder so we can provide the socialization and personal care to each litter to ensure that the transition to their new homes are very easy, with less stress on both the puppy and their new family. To fill the needs of families who are looking for a kind natured loving pet that is healthy, well socialized and hypo-allergenic. 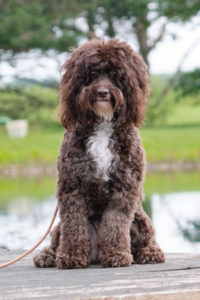 We desire to promote the Australian Labradoodle breed as we believe with our full heart that this breed is the best suited to fill those needs.